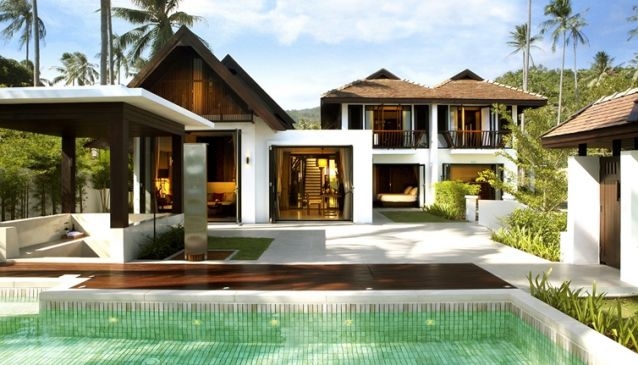 First designed as luxury private villa residences, The Sea Koh Samui Resort and Spa has been redesigned into a unique boutique resort offering space and style, a tropical island getaway with a difference. All 25 villas and suites have views of the sea, the tropical gardens or the mountains that rise behind the resort. Oringinally designed as homes, all types of accommodation offer more room and comfort than comparably priced resorts on the island. A 20 meter salt water pool mirrors the sky by the beach, where you can relax away the hours on a sun lounger amongst the natural surroundings. Cafe LeBay is the all day dining restaurant offering a delicious selection of both Thai and popular International dishes. The chef sources the freshest produce from local markets to give his creations authentic flavors that will delight your palate. Also available is in-villa dining as well as a fun BBQ experience where you can cook for yourself on the beach or by the pool. Or the chef will do the honors while you sit back and enjoy the sunset. Breeze, the poolside bar, is the perfect place to enjoy an exotic cocktail or fruit juice and savor tasty snacks under the palms on the beach. At Vara Spa experienced therapists are waiting to soothe and relax you with an extensive selection of signature massage and well-being treatments using locally sourced herbs and spices.